Q: What is the song being played on the return journey ? The closest thing to a real-life time machine. The restored 70mm footage looks like it was shot yesterday. It will make your jaw drop on the massive screen. There's something simply astounding about old restored 35mm, 65mm and 70mm footage viewed in full resolution today - it's like stepping into a time-machine and being transported, like you are really there. Any 70mm footage projected on an IMAX screen is simply magical, but this is not just real footage, but footage capturing possibly the most important moment in human history - certainly the most inspiring. You won't be able to experience the same thing at home, so I wish everyone would go out to their local IMAX and experience this first-hand. This is the kind of thing schools should require their students to experience. 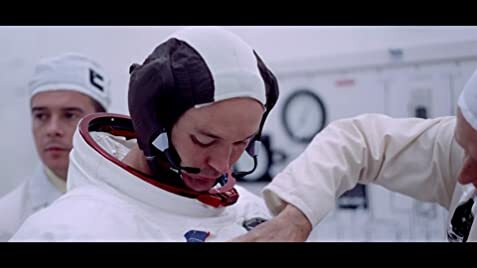 The only reason I don't give it a perfect 10/10 is that because the film is made in a cinéma-vérité style, the audience simply experiences the event without really learning very much about the incredible engineering, science, training and logistics of the incredible Apollo program. 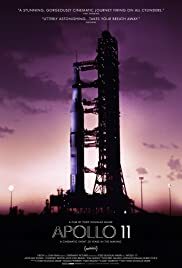 So I hope this film inspires people to also seek out The Right Stuff (1983), Apollo 13 (1995), the massively underrated miniseries From the Earth to the Moon (1998) and the invaluable documentary In the Shadow of the Moon (2007) - possibly the definitive documentary about the Apollo program - which you should watch as a companion piece to this film.